Reduces soil moisture loss so you can water less. Regulates soil temperature, which insulates and protects plants. Protects plants from soil-borne diseases. Prevents weed seeds from germinating. Prevents trunk damage from weed whackers and lawn mowers. Provides a home for beneficial organisms like earthworms. Organic mulch increases soil tilth as it decomposes. Organic mulches are derived from natural materials such as straw, wood chips or leaves. They are relatively low cost, can deter pests, increases soil quality as they decompose and allow water infiltration. Keep in mind black and dark brown mulches absorb heat. Inorganic mulches include rubber, recycled glass or rocks. These types of mulches do not need to be replaced as often but may hold heat, which can be tough on plants. 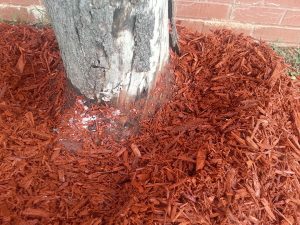 Add mulch to a depth of 2 to 3 inches near plants. 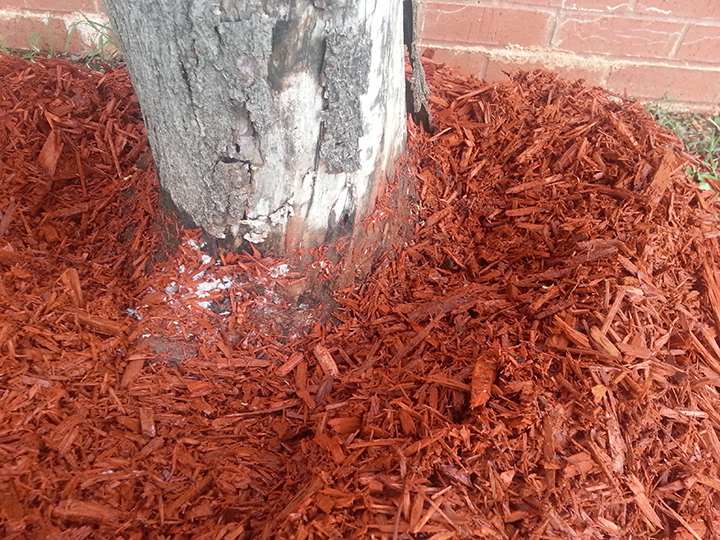 Avoid mounding mulch around plants and trees because it can cause trunk rot. Mulch may need to be replaced as it breaks down or washes away. Apply coarse texture mulches at a 3-inch depth and fine texture mulches at a 2-inch depth.